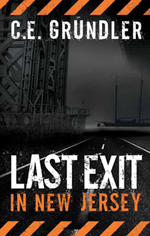 Among the glowing reviews I’ve been receiving for Last Exit In New Jersey, one very kind reader informed me he’d encountered a “distracting swarm of missing or unnecessary duplicated words.” He still had wonderful things to say about the book as a whole, stating “This is memorable genre fiction, a crime mystery ennobled by a love story between a homicidal heroine and a suicidal hero,” and more, but that the typos marred the reading experience. I was surprised and a bit stunned, in truth. I’d been over this book with a fine tooth comb countless times and truly thought all was well, though I now suspect it was a case of rereading so many times that my mind filled in the sentences. But anything that derails a reader’s train of thought breaks the mood, so I was truly grateful this reader had brought this to my attention so I could correct it. I knew now that re-reading it myself, silently or aloud, clearly wasn’t enough. I needed help! The first thing I did was go onto the writer’s forums. I needed a proof-reader and I needed one fast! I knew there were recommended ones out there, but I’d also heard stories of people paying proof-readers who miss as much as they catch. A few writers mentioned a method they use with great success: using the Kindle’s text-to-speech function and letting IT read aloud. I decided to give it a test, and it wasn’t long before I’d discovered the first of the errant words. And then more, and yet more. In fact, far more than I care to admit. With that smooth, faintly electronic voice reading steadily along every error stood out and waved. 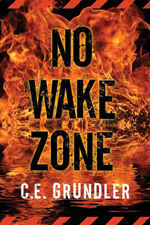 I made it my highest priority to track each and every word down, as well as enlisting two volunteer proof-readers, though in the end it was the Kindle and a set of noise-cancelling headphones that caught the most words as well as a few missing periods. I’ve since uploaded the newly revised version and checked the samples. But for any readers out there who have a typo-marred edition, (or *shudder* discover ANY typos, missing or duplicate words,) send me the flawed phrase and I will send you a new copy ASAP.